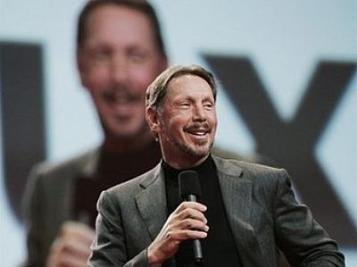 Why being a salesman for Oracle is almost the same as being a Pastor of a local church! After 15 years of volunteering and working within Christians Charities (including being a church Pastor for the previous 4 years), I have taken a big career move and become a Corporate Man (#CorporateSteve). 4 months since I started working for Oracle I thought I’d jot down a few thoughts on the experience and how being a salesman in a big blue chip company is basically the same as being a pastor in a local church. (1) There is always an underlying culture – this hit me immediately when started at Oracle. From the way you dress (whether Monday-Thursday or on ‘dress-down Fridays’), behave, talk, drink, work or network there are lots of assumed values and standards that are spread across the business and without thinking about it you start to conform to that culture. 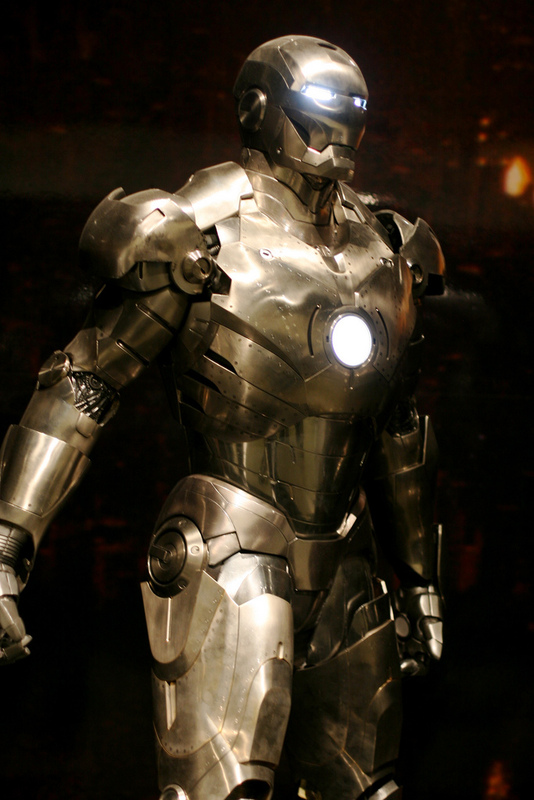 Much of the culture comes down from “the leadership” – whether Larry Ellison (who is some of the inspiration behind the character Iron Man) or the local directors and VPs. However local church is no different. Just as I had never worked in a big multi-national, so many people have never come into a church gathering/community and when they do they’ll feel the difference in culture and the more they stay and belong, the more they’ll feel a pressure to “fit in” and much of that will come from the way the leaders look, dress, act and talk (read 1 Corinthians or the book of James for the New Testament examples). 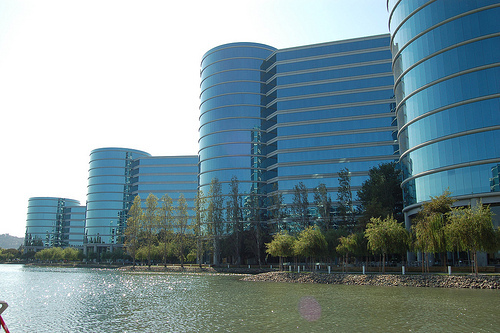 (2) Oracle is a place of many nations – I sit opposite French, Italian & Portuguese people everyday and interact with at least 20 nationalities a week, just from my sales floor alone. Oracle is a place where the nations of the world have gathered together under one cause. So the church in heaven, and therefore the church on earth, is a place where all the nations have gathered together, to set aside their differences in order to serve and adore our creator and saviour, Jesus Christ (see Ephesians 2-3 & Revelation 7). 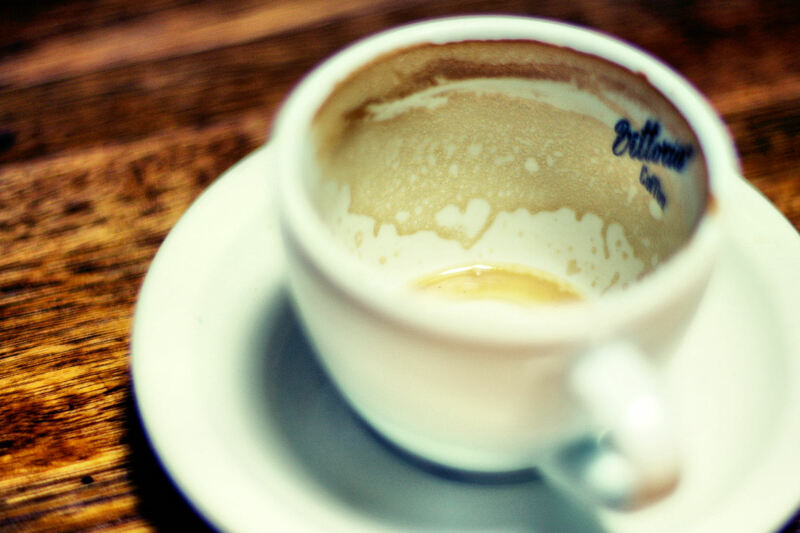 (3) You drink lots of Coffee – I am currently cutting down my coffee intake to “one a day” as when there is free cappuccino’s on tap it can be lethal. A lot of coffee gets drunk every day at Oracle. However the church is no different (except the standard of coffee is usually less good!!!) and when you are a church pastor you can easily drink 10 coffees a day and come away wired. (4) The job of a salesman is basically the job of a pastor – I was chatting to my Sales Director about this last week when he asked me how, given my background, I was settling into my new job. I told him that the heart of being a church pastor is to listen to people, find common ground, ask insightful questions, understand their pains and problems and then “sell” them a solution…Jesus! So in modern sales, you spend 80% of the time listening, building rapport, asking insightful questions that unearth business pains and then you sell them a solution which will solve all their problems…Oracle Fusion CRM. (5) Humility will go along way – As I outline in my previous post, the humble person will actually go the furthest, not just in the Kingdom of God (1 Peter 5 & James 4) but also in business. (6) There is always a pressure to deliver – Sales is all about hitting “your number” – that is what defines you, governs you, gets you paid and sees you progress. If you hit your targets you’re fine. If you miss them, then you’ll feel the pressure. However there are lots of pressures that a pastor can feel – there is still the pressure to “perform” or live up to people’s expectations. I guess underneath it all is a heart that finds it’s value in personal performance rather than Jesus’ performance on our behalf (see Philippians 3). (7) The importance of of money – You cannot do church activities, mission, social action or community-formation without money (nor have a job as a full-time pastor). So in business, there is no business where there is no money. However the quantity of money is where the difference is seen. Coming from a local church background where budgets are rather small it is crazy the amount of money that is flying around in a modern IT business. Whether that be the salaries, the sales, the expenses or the products. I was talking to a customer the other day about a $1,000,000+ sale. 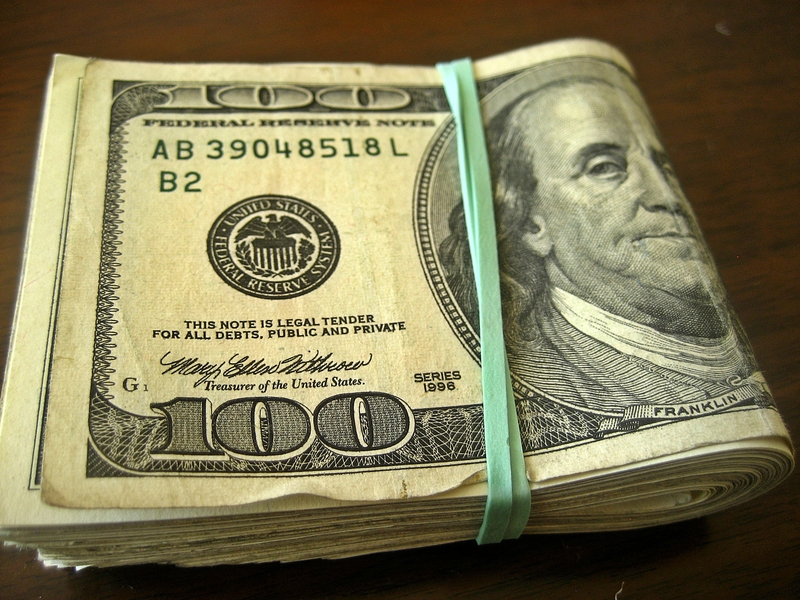 That is silly money in the church but normal money in business. Interestingly Jesus spoke more about money than heaven and hell as he recognised it as one of the greatest snares that stopped people entering the kingdom of God (Luke 8.14 & 18.18-30). This leads me onto my next point. (8) Motivation is everything – 0n my second day when I didn’t even know what “CRM” meant I met one of the Sales VPs, for Application Sales. He was also new to Oracle VP so was meeting the team and finding out who was who. He asked us about our background. My Co-worker Fiona had come from a retail background so he got all enthusiastic about how we needed to tap into her abilities and knowledge to sell our product. He then turned to me and said “And what about you…what did you do before this?” I told him that I had worked as a church pastor and charity worker. First his face went rather blank. Second he paused. Third he said “Oh”. Fourthly, once he had gathered himself, he said “so you have gone from what is essentially about doing good to the world to what is essentially about making money!” I think I fumbled some comment about the need for business’s to engage with CSR and then he moved on. What has been interesting is that I repeatedly hear from those up top, that what should motivate us is money, career and status – that is the carrot that is dangled before us to ensure we work hard. One of the senior managers even said “I am unashamedly money hungry” which was rather surprising to me, though I appreciate his honesty. I am sure there are more similarities, but there are 8 I can think of. Do let me know if you think of any more. ← Business, Humilty and Jesus – why a humble person will go the furthest? Good to hear from you and thanks for posting. I am more drawing interesting parallels rather than saying the two literally are the same. On the boss front, I nearly had a point 9 on this that would have said that my ultimate boss NEVER changed – I have always ultimately been working for Jesus (Colossians 3 etc). And even in Sales I need to rely on him for everything I do in a similar way to you. So I am not sure that distinction you bring is correct. Stumbled upon you post today. I thought is was very insightful and funny. I know and am related to several pastors. I am pretty familiar with their daily work. I also have been in sales for many years, I did work for Oracle. The only difference I see is that the primary role of the pastor is obvious while a salesman can have the same goal, but it is typically not stated and therefor he or she has more access to people.